"[r]eal solutions to fix our broken borders cannot wait that long. Human and drug smuggling rings continue to thrive in Arizona, crossing our border and using our cities as major hubs to transport crosser throughout the country. While we wait for real progress on the "virtual fence," border communities in Arizona will continue to be strained by the millions of dollars in costs they must absorb due to the state of border security." 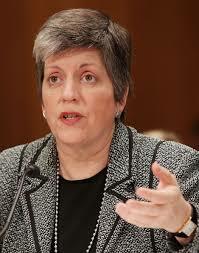 In reading the above letter, would you not think DHS Napolitano would be Arizona's biggest champion in Washington? Would you not think she, of all people, would understand the frustration in Arizona? 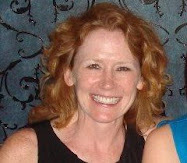 Don't you think she would be pushing her boss, President Obama, to help Arizona? and get President Obama to push Congress to help this state? Instead DHS Napolitano had to recently embarrassingly admit that she did not read the Arizona illegal immigration law. And before you get all whooped up about whether the Arizona statute is constitutional or not, that is not the issue. The statute is a cry for help and the current fight over it a distraction. The issue is the FAILURE of the federal government to help the STATE of ARIZONA. The statue, while probably unconstitutional for trying to set immigration policy in contravention of our Constitution, is a cry for help -- one that has been utterly ignore. So a short two years before she was criticizing current Arizona Governor Jan Brewer for whining about the illegal immigration problem, as Arizona Governor, she was complaining about it herself. From the seat of power, they begin to see all their SUBJECTS as stupid!